"These little stories were written about the village people of New England." So begins the preface to A Far-Away Melody and Other Stories, a new edition of the works of Mary Eleanor Wilkins Freeman. The book, in fact, was a slimmer version of her previous collection A Humble Romance and Other Stories. 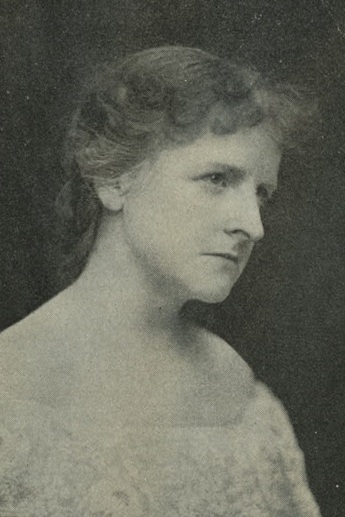 In her preface, dated December 5, 1889, Freeman (or, more accurately, Wilkins, as she was not yet married) emphasized the old-fashioned nature of her New England tales. Those people, after all, are "the descendants of the Massachusetts Bay colonists, in whom can still be seen traces of those features of will and conscience, so strong as to be almost exaggerations and deformities, which characterised their ancestors." Wilkins notes that writing down these stories were an effort to preserve them as the younger generations are less and less like their ancestors, whom she calls "serious and self-restrained." In addition to the title story, the collection published in Ireland included a Christmas story, "A Moral Exigency." In that tale, the main character is Eunice Fairweather, the 25-year old daughter of a poor minister. That connection left her with certain social obligations, particularly around the holidays, which she loyally followed despite occasional weariness and boredom of those tasks. Eunice was not pretty but she was pious. She considered her appearance, her simple home, and her lot in life "with a sort of resigned disapproval." She did what was expected her as a minister's daughter but neither enjoyed it nor tried to avoid it. The same was, to some extent, true of a local clergyman, Mr. Wilson, who had previously been a romantic man before the death of his wife. Now a widower with a household of children, he sought out a practical solution: find a new wife to assist him. It was not for love that he asked the minister for the hand of Eunice Fairweather. When her father tells her this, she acknowledges that he would make a fine husband but admits, "I think I would rather remain as I am, father." There is no excuse for you: you knew it. It is no better for him. You have encouraged him in being false. You have dragged him down. You are a plainer girl than I, and a soberer one, but you are no better. You will not make him a better wife. You cannot make him a good wife after this. It is all for yourself — yourself!" Throughout the story, Eunice seems to drift through her own life, ambivalent of the course she is following (as Leah Blatt Glasner notes, "a mixture of fiery rebel and dutiful slave"). In the end, she gives up her connection to Burr Mason, leaving him for Ada. The ambiguous ending of the story leaves the reader asking, however, does Eunice return to Mr. Wilson? Or does she choose the spinster life? And is either an improvement on the other? Wilkins Freeman is certainly a forgotten author these days. I feature her short story "The Little Maid at the Door" about witchcraft on my blog in October. What a suspenseful read! Thank you for the link. Her various supernatural works are quite fitting for a woman born on Halloween. Lately, I've been more interested in her subtle (if, perhaps, even unintended) questions about expected roles for women, or at least the complications of those assumptions.